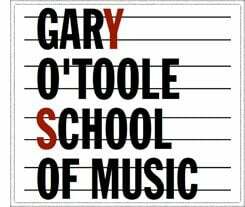 The Gary O’Toole School of Music is based here at Footes drum shop, 41 Store Street in Central London. We offer one to one tuition in Drums, Bass, Guitar, Piano, and Vocals. The school is headed by professional drummer and principle drum teacher, Gary O’Toole. We take students at any level, whatever your goals are – be it just wanting to play around the campfire, jamming at your local pub, playing local gigs or touring the world! We’ve made it happen for all these aspirations! I had the idea of founding a music school when giving lessons to drum students – I love imparting knowledge and skills and seeing them progress – it’s my passion. I previously taught privately and at other establishments and enjoyed encouraging students to discover the joy of playing and developing enthusiasm for music as a whole. The music teachers at G.O.T. have been carefully selected with these values in mind and all have a similar attitude to mine when it comes to music. Our school’s motto is: “We love music; we love teaching.” and all our music teachers are very passionate about music as of course am I. Our music tutors are drawn from a mixture of professionals, with varied experience in both the teaching and performance fields. Your teacher will be able to relate to students with any level of experience and see just what is required in each individual situation, from the classroom, to the stage, to the recording studio. From beginners to intermediates, from established professional musicians to singers, the school’s main objective is to enhance your ability and performance. We endeavour to make your music learning process an enjoyable and memorable experience which will enthuse you. Please take a look around our website for a better insight into the kind of experience you will have with us.